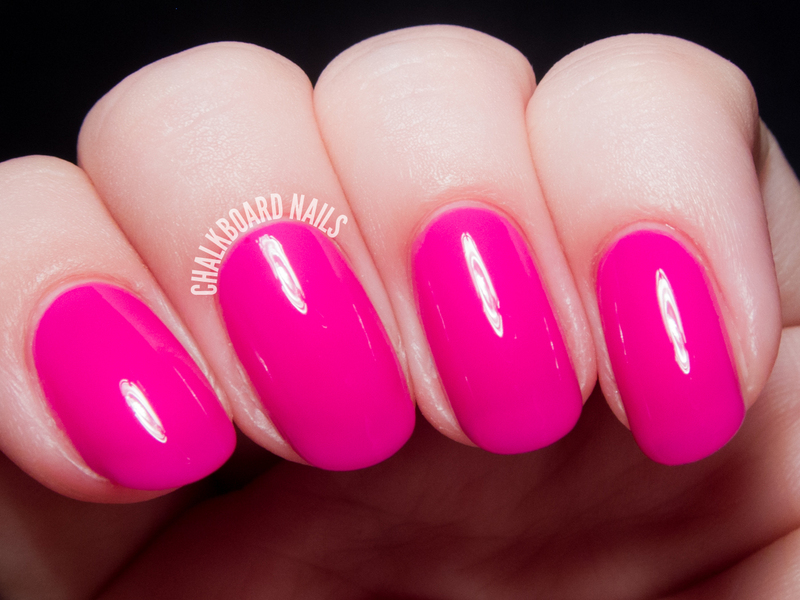 Beach Please is a hot pink creme that covered perfectly and evenly in two coats. I...love...this. It's so shiny and pretty. It has a bit of a "squishy" jellylike finish, but without the visible nail line. Winning. Hexy Bikini is a sparklebomb silver textured polish with fuchsia and aqua glitters. It applied surprisingly nicely, and I needed two coats for the coverage shown here. No top coat, since this is a textured shade, but you could probably do a few thick coats of topcoat for a smoother effect. Shore Thing is an bright mint green shade. Very flattering and a super cheerful color. I used three coats here but it was very close at two. 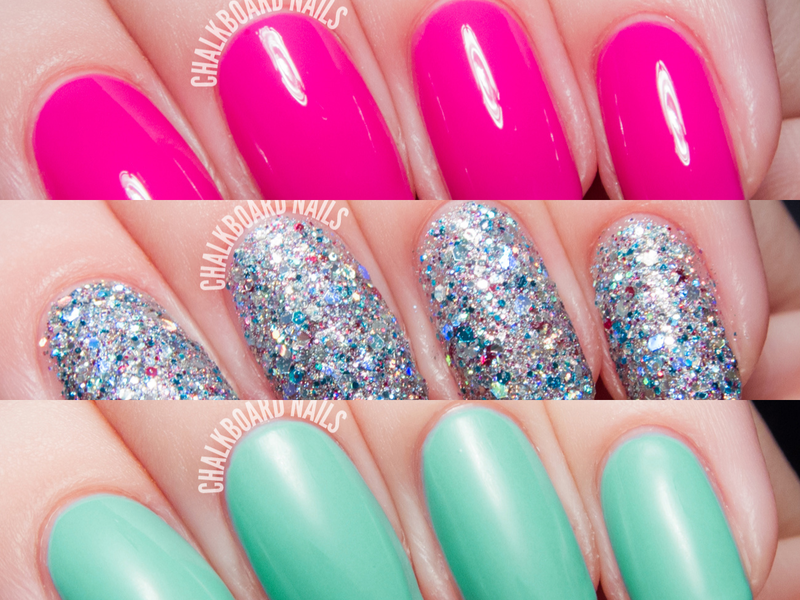 Though I'm not usually a pink gal, I have to say that Beach Please is my favorite of this collection. It's so lovely, the formula is wonderful, and the name is hilarious. Of course, the other shades are nice as well, and I have no complaints! Which one do you like best? What a set trio these are! 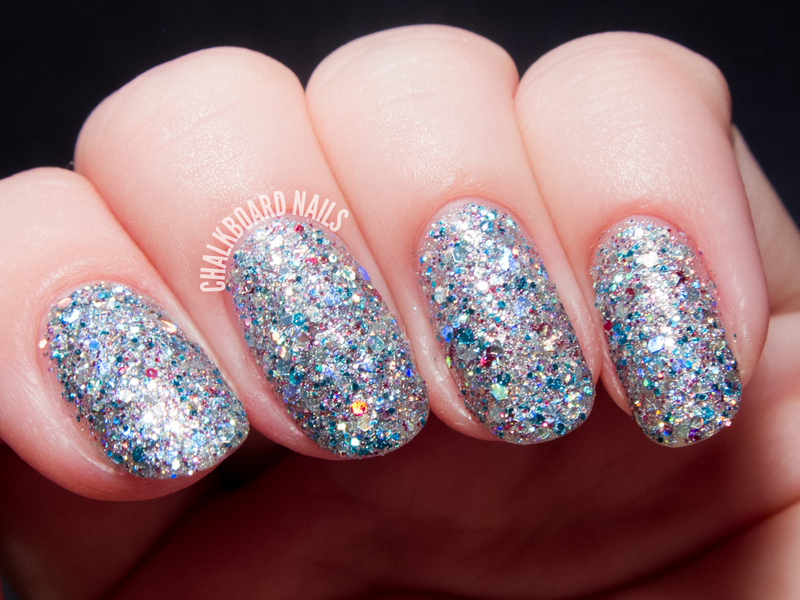 Those two cremes are gorgeous but that sparkly texture polish is to die for. Beach Please. I laugh every time I say that. Love that pink on you! Hexy Bikini is good name :D All colors are beautiful. Beach Please is my favorite as well!